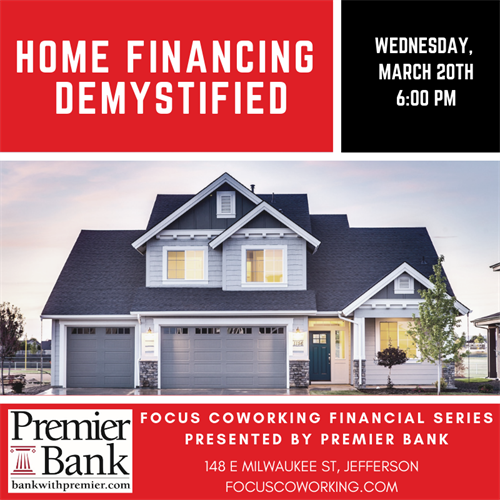 Ralph Lassa of PremierBank will lead a discussion covering the general process involved in financing a home purchase: Applying for a home loan, qualifying for financing, choosing a lender, information you need to prepare, costs involved in buying a home, and more. We will also cover details about how to qualify for home financing: How much financing can you qualify for, how much can you afford, credit reports and credit scores, home loan options, and more. If you’re just curious about these topics, ready to start looking for a home, or already in the process, we will have information to help you make successful decisions about home financing. Ralph is an experienced lender with 20 years in the financial industry.